Your shopping matters. Shop for Father’s Day at http://smile.amazon.com/ch/31-0979407 and Amazon donates to Sunrise Inc. 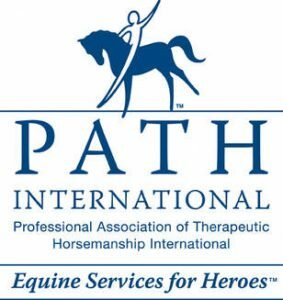 Therapeutic Riding Center to support our programs! Eat at Chipotle and raise money for Sunrise Inc! Its a win-win! We are currently accepting riders for the Spring Session. If you or someone you know could benefit from Horse Therapy, give us a call at 765-935-4291 and reserve your time slot. Lessons can be held between 9 am -9 pm Mondays thru Fridays. 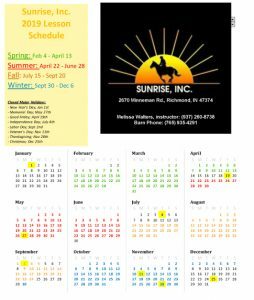 Two New Programs Coming to Sunrise! 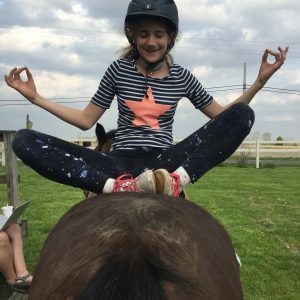 What’s the difference between hippotherapy and therapeutic riding?